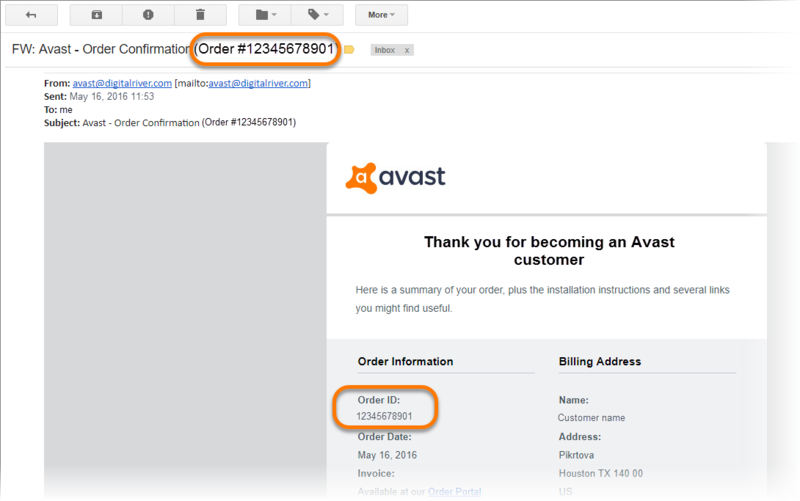 When requesting help related to your Avast product or license via the Avast Support portal, you may be asked to provide an order or reference number for troubleshooting or identification purposes. You can find this number in the order confirmation email that was sent to you from the order distributor after your purchase. If you cannot locate your confirmation email containing your Avast subscription details, check the junk/spam folder in your email account in case the order confirmation was filtered from your inbox. Digital River: search for Order in the subject or Order ID in the body of the confirmation email. 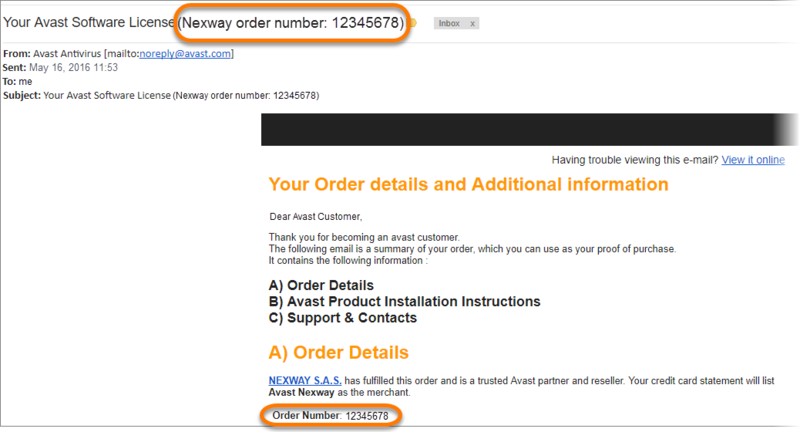 Nexway: search for Nexway order number in the subject or Order Number in the body of the confirmation email. Cleverbridge: search for Reference in the subject or Your Avast reference ID in the body of the confirmation email.